Rolling out a pie crust can be tricky. If you are one of the many feeling the pressure to become Martha Stewart because it’s almost Thanksgiving, I have a solution for you! A galette is a French word for a free-form cake or pie. You can do whatever the heck you want with the crust! 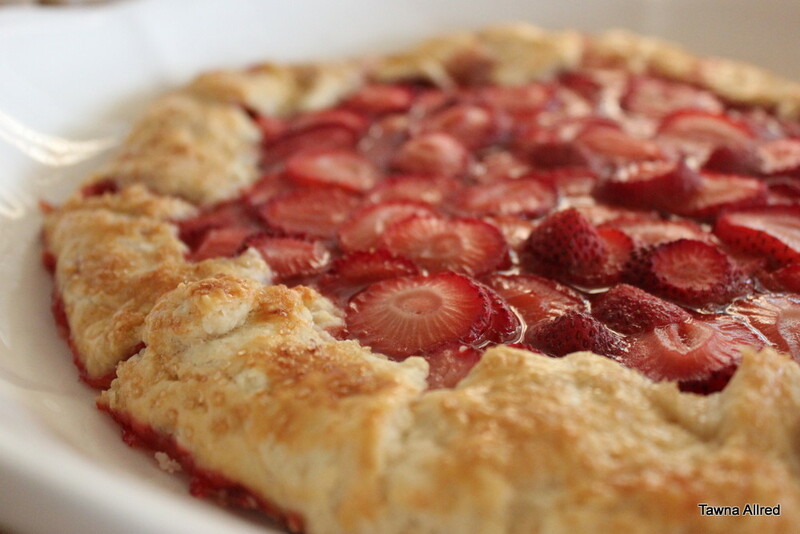 Today I’m sharing a strawberry galette, but you can fill it with any pie filling that suits you. Roll the crust flat, pour the filling on, then flip the edge over about 1 inch. That’s it! It still ends up being a beautiful dessert Martha Stewart would approve of, but it won’t take a lot of effort. Whisk flour, sugar, and salt together. With a pastry cutter, cut in butter and coconut oil until they are the size of small pea. Add water and stir with a fork until it combines. Roll out on a floured surface. Fold into fourths and transfer to an ungreased cookie sheet. Unfold and add sliced strawberries, leaving about one inch around the edge of the crust. Drizzle honey and vinegar over strawberries and fold the edge of the crust over. Rub milk or an egg white over the edge, and sprinkle with more Demerrara sugar. Cook in a preheated oven at 375 degrees until crust is browned. Remove from oven and let rest for 1 hour. Serve with vanilla ice cream or whipped cream.